Mylan Pharmaceuticals CEO Heather Bresch is on a roll. Since 2004, she has hiked the price of a life-saving EpiPen from $50 to $300–or $600 for a package of two. She has seen her own salary steadily rise more than 600% to a current total of $18 million a year. The device now accounts for 40% of Mylan’s profits. But in playing greed-based games with the lives of millions of Americans, Bresch, 47, may have put her company–and even herself–in jeopardy. EpiPens have been mandatory for public schools in at least 11 states since Congress passed the 2013 School Access to Emergency Epinephrine Act. This occurred after Mylan spent $4 million lobbying Congress. When the lives of their children are threatened, adults who can stoically accept the inevitability of their own deaths can become dangerously emotional about the fates of their sons or daughters. As national news media spread the word of Mylan’s unconscionable price increases, American consumers are making their rage increasingly known. There are three ways this could be expressed: Political, Legal, and Illegal. “I write to request the Federal Trade Commission investigate whether Mylan Pharmaceuticals has violated the antitrust laws regarding the sale of its epinephrine auto-injector, EpiPen. Many Americans, including my own daughter, rely on this life-saving product to treat severe allergic reactions. Other Senators who have called for hearings include Iowa’s Charles Grassley, Connecticut’s Richard Blumenthal and former Democratic presidential contender Vermont Senator Bernie Sanders. “There’s no reason an EpiPen, which costs Mylan just a few dollars to make, should cost families more than $600,” tweeted Sanders on Twitter. A second expression of political fallout could ultimately be the adoption of a single-payer healthcare system. Under this, a “single-payer” fund, rather than private insurers, pays for healthcare costs. The healthcare delivery system can be private, public or a combination of the two. Owing to the belief of millions of Right-wing Americans that such a system is “Communistic,” this is unlikely to be adopted within the foreseeable future. Legal: Individual Americans–and/or the U.S. Department of Justice–could file civil lawsuits against Mylan Pharmaceuticals under the Racketeer Influenced Corrupt Organizations (RICO) Act. It could be argued that, by holding a near-monopoly over a product that millions of Americans depend on for survival, and raising its price beyond the ability of most Americans to afford it, Mylan has engaged in extortionate practices. It would not be the first time a David-vs.-Goliath lawsuit prevailed against dismal expectations. In 1994, amid great pessimism, Mississippi Attorney General Mike Moore filed a lawsuit against the tobacco industry. But other states soon followed, ultimately growing to 46. The theory underlying these lawsuits: Cigarettes produced by the tobacco industry created health problems among the population, which badly strained the states’ public healthcare systems. In 1998, the states settled their Medicaid lawsuits against the tobacco industry for recovery of their tobacco-related, health-care costs–amounting to millions of dollars. In return, they exempted the companies from private lawsuits for tobacco-related injuries. Illegal: At one time, business titans like John D. Rockefeller and Henry Ford lived apart from “the common herd.” Americans read about them in newspapers or heard about them on the radio, but had no way of contacting them directly. If you wanted to “dig up dirt” on any of them, you had to be wealthy enough to hire private detectives–who were probably employed by the same people you wanted to investigate. But the rise of the Internet–and especially the advent of “people-finder” websites like Instant Checkmate, Intellius and Veromi–has drastically changed all that. It doesn’t take a genius to see how the parent of an allergy-suffering child–desperate to save his son or daughter and enraged at what he believes to be the extortionately high price of EpiPens–might put such information to use. What is truly astonishing is that, in our publicity-saturated culture, greedy, self-destructive “celebrities” like Heather Bresch don’t realize this. Unfortunately, it’s advice that members of the United States Congress have blissfully chosen to ignore. And, in doing so, they have condemned millions of Americans to suffering and death at the hands of greed-based, predatory corporations. One of these corporations is Mylan Pharmaceuticals. In 2007, Mylan acquired the patent for the EpiPen, a lifesaving device for anyone allergic to common foods like peanuts, shellfish and eggs. Millions of people with life-threatening allergies depend on the EpiPen for survival. During an allergy attack, the EpiPen injects an emergency dosage of epinephrine to the user, preventing a possibly fatal reaction, known as anaphylaxis, from occurring. Between 2007 and 2015, the wholesale price of an EpiPen skyrocketed from $56.64 to $317.82–an increase of 461%. According to NBC News, compensation for Mylan CEO Heather Bresch similarly skyrocketed during the same period: From $2,453,456 in 2007 to $18,931,068 in 2015–a 671% raise in eight years. Bresch wasn’t the only one to profit at the expense of the most vulnerable. Mylan’s president, Rajiv Malik, got an 11% pay increase to $1 million annually by 2015. And Mylan Chief Commercial Officer Anthony Mauro got a 13.6% raise, amounting to $625,000 per year. Between 2007 and 2015, Mylan’s stock price tripled, going from $13.29 per share in 2007 to a high of $47.59 in 2016. By late August, 2016, Mylan’s stock is hovering around $45.68 per share on the NASDAQ index. Bloomberg states that the EpiPen now accounts for about 40% of Mylan’s profits. Ironically, Sheldon Kaplan, the man who invented the now-famous device, never made a dime off it, and died in obscurity. After working at NASA, Kaplan worked for Survival Technology, Inc., in Bethesda, Maryland. His assignment: Create a device to quickly inject a victim of anaphylaxis–a potentially fatal allergic reaction–with an emergency dose of epinephrine. In 1973, when Kaplan was finalizing the design concept for what would ultimately become the EpiPen, the Defense Department asked him to take on a new assignment. The military needed a device that could quickly inject an antidote for nerve gas. Kaplan’s design perfectly fitted this need: When a victim plunged a needle into his thigh, a spring-loaded mechanism shot a needle containing life-saving medicine into his bloodstream. Kaplan’s invention became known as the ComboPen, and was initially used by the Pentagon before becoming available for use by the general public several years later as the EpiPen. Kaplan left Survival Technology shortly after creating the ComboPen to become a biochemical engineer. He didn’t follow the success of his invention–and didn’t reap any of the huge financial rewards that it has produced. That has certainly not been true for Mylan Pharmaceuticals. After cornering the patent on the EpiPen in 2007, the company has made billions on the life-saving device. According to Bloomberg, a package of two EpiPens costs $415 in the United States after insurance discounts. The same package in France–which has price controls under socialized medicine–costs $85. The chief beneficiary of this legalized price-gouging has been Mylan’s CEO, Heather Bresch. The daughter of U..S. Senator Joseph Manchin (D-WV), she joined Mylan in 1992 and held various positions within the company. Among these: Its chief lobbyist before Congress. It was in that capacity that she persuaded Congress to enact a bill requiring all public schools to carry EpiPens for students with food allergies. It was signed into law by President Barack Obama in November, 2013. Over the next three years, schools nationwide bought EpiPens by the truckload. And Mylan jacked up its prices for the EpiPen every other quarter. On January 1, 2012, Heather Bresch became Mylan’s CEO. But it wasn’t enough to have a monopoly on a device millions of men, women and children desperately needed. In 2014, true to its “profits-at-any-price” philosophy, Mylan reincorporated in the Netherlands to lower its effective tax rate. It did so through a corporate accounting trick known as a tax inversion, and thus claiming the status of a foreign-owned corporation although its headquarters remained in Canonsburg, Pennsylvania. Even her own father, U..S. Senator Joseph Manchin, condemned Mylan’s use of the inversion scheme and said it should be illegal. No doubt, with her $18 million-a-year CEO salary and moneyed ties to high-powered attorneys and influential members of Congress, Bresch thinks herself invulnerable. But all that could quickly change–if even a small number of her victims become angry enough. All too often, the result is fraud for their recipients. In 2013, losses from Nigerian scams alone totaled $12.7 billion. Appeals to religion: Appeals to Religion: “Hello Beloved in the Lord” or “Yours in Christ” seeks to create a bond with those who deeply believe in God. Appeals to Sympathy: Appeals to Sympathy: “My husband just died” or “I am dying of cancer.” This is to make you feel sorry for the sender and lower your guard as an intended victim. Love Scams: The scammer poses as a man or woman–usually outside the United States–seeking love. A series of emails flows back and forth for days/weeks, until the scammer says s/he will be glad to fly to the United States to be yours. All you have to do is put up the money for the flight cost. “Make Money From Home”: With most employers refusing to hire, “work from home” scams promise a way to support yourself and your family. You’re required to provide bank information or pay an up-front “registration fee.” Then you wait for job orders–that never come. Debt Relief: Scammers promise to relieve most or all of your debt–for a large up-front fee. You pay the fee–and are not only out of that money but still in debt. “I Need Help”: You get an email claiming to be from someone you know–who’s “in jail here in Mexico” or some other foreign country. S/he begs you to send money for bail or bribes to win his/her freedom. If you get such an email, call the person to make certain. Don’t rush to send money–chances are it will go directly to a scammer. Don’t click on unknown links–especially those in emails from unknown senders. If you’re required to pay an advance fee–“on faith”–to receive a big amount of money, the odds are it’s a scam. And in case you’re inclined to anyway, consider the story of Kip and Nicole Macy, two San Francisco slumlords who recently pled guilty to felony charges of residential burglary, stalking and attempted grand theft. Cut holes in the floor of one tenant’s living room with a power saw–while he was inside his unit. Cut out sections of the floor joists to make the building collapse. Threatened to shoot Ricardo Cartagena, their property manager, after he refused to make the cuts himself. Changed the locks to Cartagena’s apartment, removed all of his belongings and destroyed them. Created fictitious email accounts to appear as a tenant who had filed a civil suit against the Macys–and used these to fire the tenant’s attorney. Cut the tenants’ telephone lines and shut off their electricity, gas and water. Changed the locks on all the apartments without warning. Kicked one of their tenants in the ribs. Hired workers to board up a tenant’s windows from the outside while he still lived there. Falsely reported trespassers in a tenant’s apartment, leading police to hold him and a friend at gunpoint. Broke into the units of three tenants and removed all their belongings. Again broke into the units of the same three victims and soaked their beds, clothes and electronics with amonia. The Macys were arrested in April, 2008, posted a combined total of $500,000 bail and then fled the country after being indicted in early 2009. In May, 2012, Italian police arrested and deported them back to America a year later. Having pled guilty, they were sentenced in September, 2013, to a prison term of four years and four months. How could such a campaign of terror go on for two years against law-abiding San Francisco tenants? Everybody in San Francisco knows who the slumlords are. But the District Attorney’s Office hasn’t criminally prosecuted a slumlord in decades. Consider the situation at the San Francisco Department of Building Inspection (DBI), which is charged with ensuring that apartment buildings are in habitable condition. How could it be changed? DBI should become not merely a law enforcing agency but a revenue-creating one. And those revenues should come from predatory slumlords who routinely violate the City’s laws protecting tenants. Americans are suckers for children. Even if many of them might come wrapped in suicide vests. 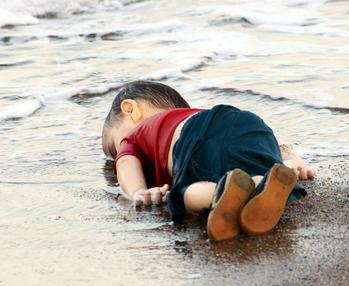 On September 2, 2015, the body of a three-year old Syrian boy named Alan Kurdi washed ashore on a beach in Bodrum, Turkey. He and his family had boarded a small rubber boat to reach Europe amid the carnage of the Syrian civil war. The boat capsized. Only eight days later, on September 10, 2015, the Obama administration announced that it would take in at least 10,000 displaced Syrian refugees over the next year. That was in addition to the 2,000 Islamic refugees the United States had already accepted. Almost one year later–on August 17, 2016–another photo captured the world’s attention. It depicted a five-year-old Syrian boy named Omran Daqneesh sitting in an ambulance. Covered head to toe in dust, his face bloodied, he seemed dazed. He had been pulled out of a building hit by an airstrike in Aleppo, Syria. 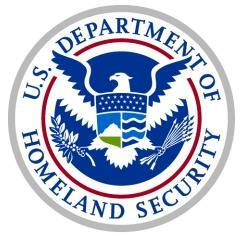 All of which overlooks the increasing threat posed to the United States by Islamic terrorism. According to U.S. Census data, America legally welcomes about 100,000 Muslim immigrants each year. This represents the fastest growing segment of immigrants coming to the United States. Meanwhile, the FBI is being overwhelmed by the demands of countering Islamic terrorism against the United States. The FBI has only 35,000 agents and analysts–against seven million potential suspects. And only a portion of those agents and analysts are charged with investigating terrorism. And even children, for all their supposed innocence, are not to be ignored as potential weapons of Islamic terrorist organizations. On August 20, a suicide bomber aged between 12 and 14 attacked a Kurdish wedding party in Gaziantep, Turkey, killing at least 51 people. Preliminary evidence indicates that the Islamic State of Iraq and Syria (ISIS) was behind the attack. America may well become a similar target for child suicide bombers. On March 15, 2011, protests broke out in Syria, with demonstrators demanding political reforms and the ouster of dictator Bashar al-Assad. These protests, met with government repression, continued to grow into a wholesale civil war. By April 23, 2016, the United Nations estimated that 400,000 Syrians had so far died in the conflict. More than 400,000 potential or actual Islamic terrorists will never again pose a threat to the United States or Western Europe. Additional thousands are certain to follow their example. And the United States cannot be held in any way responsible for it. But Americans and Europeans have chosen to see these positives as negatives. The United Nations refugee Agency, UNHCR, estimates that 366,402 refugees and migrants crossed the Mediterranean Sea to Europe in 2015. And while the West has thrown open its doors to fleeing Syrians, the reaction of neighboring Islamic nations has been entirely different. This was brutally but accurately depicted in a cartoon of wealthy Arab rulers looking on indifferently at the body of Alan Kurdi. While European nations are being swamped by hundreds of thousands of these uninvited “guests,” the Arab world’s wealthiest nations are doing almost nothing for Syria’s refugees. These nations are far closer to Syria than are Europe and the United States. And they contain some of the Arab world’s largest military budgets and its highest standards of living. Note the contradiction: Democratic, non-Islamic countries are exposing themselves to increasing numbers of potential–if not actual–Islamic terrorists. During the 1980s, the United States waged a cold war against Islamic nations. Their acts of anti-American terrorism were seen as simply crimes, and not acts of war. The September 11, 2001 terror attacks on the Pentagon and World Trade Center changed that. For the last 15 years, the United States military has actively fought Islamics in Afghanistan, Iraq and Libya. And now Syria. To be admitting huge numbers of a population with which the United States is now waging all-out war is worse than stupid. It is a guarantee of national suicide. But passengers would have felt far less reassured had they known the assault rifles they carried had no bullets. Repeated showings of security theater can be seen every weekday at the San Francisco Federal Building, at 450 Golden Gate Avenue. To enter, you must show a driver’s license or State ID card. Finally, assuming you avoid setting off any alarm system, you’re allowed to enter. Now, suppose you want to report a crime to the San Francisco field office of the Federal Bureau of Investigation (FBI). You take an elevator to the 13th floor and walk into a large room filled with several comfortable chairs that sit close to the floor. You approach a window such as you find in a bank–made of thick, presumably bulletproof glass. You offer your reason for wanting to speak with an agent. Assuming the secretary thinks you have a legitimate reason, she says you must first show her your driver’s license or State ID card. You slide these through the bottom part of the glass window. Then she makes a xerox of this and hands the card back. Of course, you can refuse to fill out the form. But then the secretary will refuse to let you meet with an FBI agent. But this demand for so much private information is almost certain to sharply decrease the number of people willing to report knowledge of a crime. At a time when Federal law enforcement agencies need all the cooperation they can get, this is not a matter to be taken lightly. Eerily, their conclusions echoed those reached by former Panzer General Heinz Guderian about German dictator Adolf Hitler. Guderian thus enabled Hitler to conquer France in only six weeks in 1940, and to come to the brink of crushing the Soviet Union in 1941. He recounted his career as the foremost tank commander of the Third Reich in his 1950 autobiography, Panzer Leader. HEINZ GUDERIAN: Once in power, Hitler quickly–and violently–eliminated his opposition. He make no attempt to disguise this aspect of his character, because the opposition was weak and divided and soon collapsed after the first violent attack. This allowed Hitler to pass laws which destroyed the safeguards enacted by the Weimar Republic against the the dangers of dictatorship.